Since 1995, Dr. Pamela L. Sands has been providing children with exceptional comprehensive dental care. She attended the State University of New York at Albany to obtain her Bachelor of Science degree in Biology, and the State University of New York at Stony Brook, School of Dental Medicine to obtain her Doctorate of Dental Surgery. After graduating, Dr. Sands completed a Pediatric Dental Residency, participating as Chief Resident at the Albert Einstein/Montefiore Medical Center in Bronx, NY. Dr. Sands feels it is important to stay on the cutting-edge of dentistry. 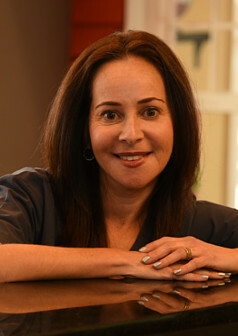 Thus, she maintains memberships in many prestigious professional organizations, including the American Academy of Pediatric Dentistry, the American Dental Association, the Dental Society of the State of New York, and the Nassau County Dental Society.